Blog - Technorati no more accepting pings from your blog. Technorati no more accepting pings from your blog. 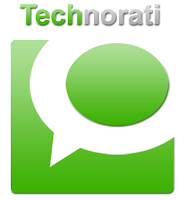 Technorati is one of the oldest and most popular Blog Search Engines in the blogosphere. Some say it is competing with Google and Yahoo! But I think not, as it's target searches is not your every day website, but only blogs and then only blogs registered on the Technorati website. The Technorati search engine has a special blog metric called Technorati rank, which has become extremely popular in the blogosphere and is considered as a factor of prestige (similar to PageRank in Google). The Technorati rank is only applicable to blogs registered with them and depends on quantity and quality (Technorati rank) of other Technorati blogs linking to you. Technorati looks at tags that authors have placed on their websites. These tags help categorize search results, with recent results coming first. Technorati rates each blog's "authority", the number of unique blogs linking to the blog over the previous six months. The way Technorati became aware of your posts in the past was for you or your blog to ping the Technorati server. This did not work as efficiently as it could or should have. I can testify to that fact. On numerous occasions my blog was never indexed correctly by Technorati, and sometimes for months on end Technorati would not index my blog. Technorati have now stopped accepting pings. You do not have to ping Technorati anymore in order to get your blog post indexed. If your blog is registered with Technorati, they will crawl your site or check your RSS feed to index your site. From the Technorati website: "As of the relaunch of Technorati on October 14, 2009, we are no longer using pings; you no longer need to inform us each time you update your page. We are now automatically checking sites frequently to find new posts, without anything (except the post itself) needed from you. Why the change? More than 90% of the pings we received were spam and non-blogs. A significant amount of our energy was devoted to attempting to find, without fail, the valid blog pings obscured by the torrent of junk. This endeavor demanded an unreasonable amount of resources (both automated and human) while remaining fragile and error-prone." I did not realise that this had happened, so when I went back to the Technorati site to once again try to get my blog posts indexed, I was surprised to see that not only were my post indexed, but my authority had increased.